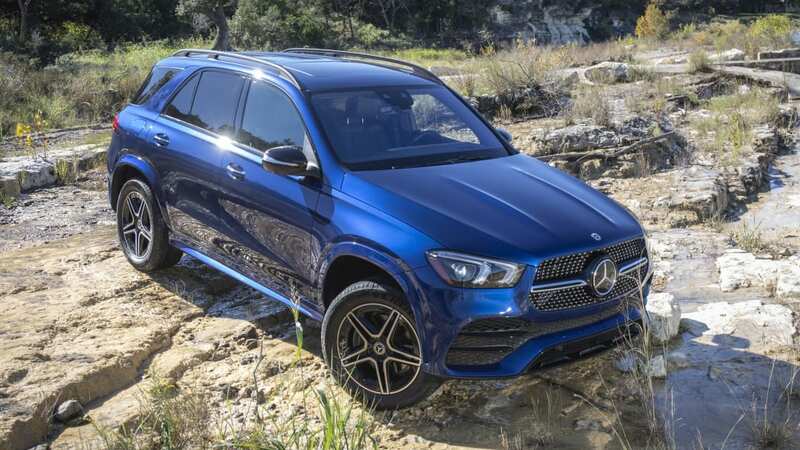 It's been about 20 years since Mercedes launched its first SUV designed to not just be an off-roader, but a street-friendly family wagon. 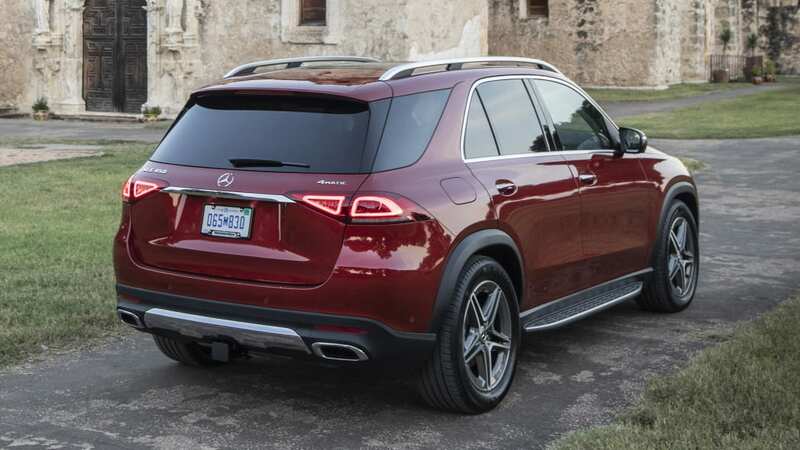 The M-Class was an early entrant into what is now an avalanche of crossovers from the German luxury brand. 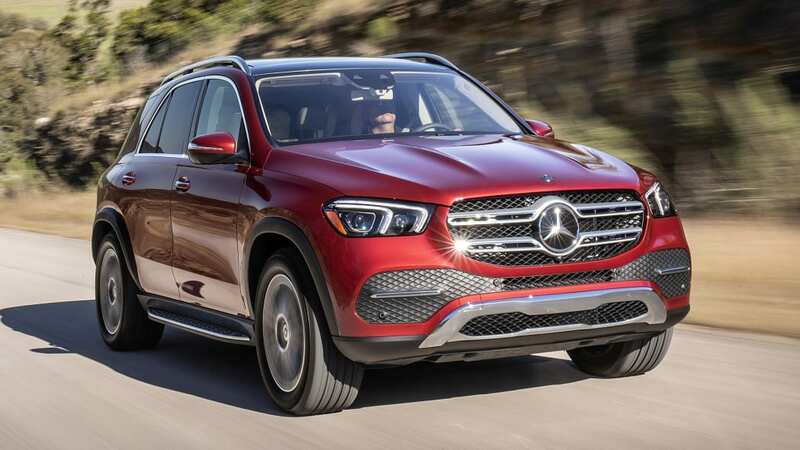 Today, Mercedes offers seven crossovers and SUVs. 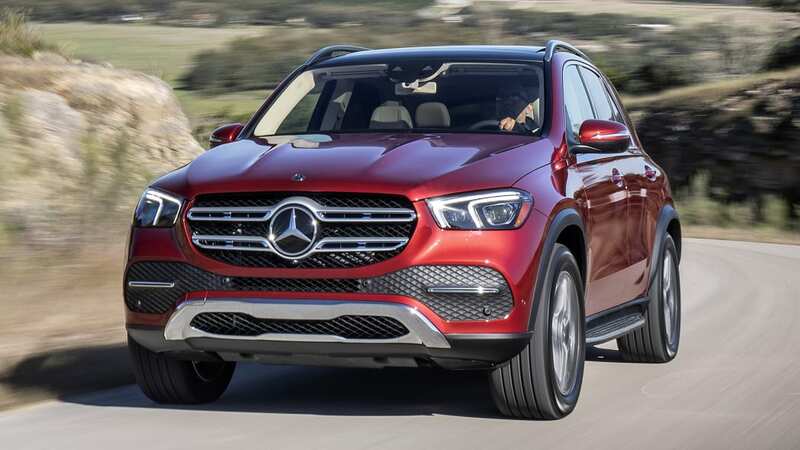 But only the GLE-Class can really be called a direct descendant of the original M-Class. 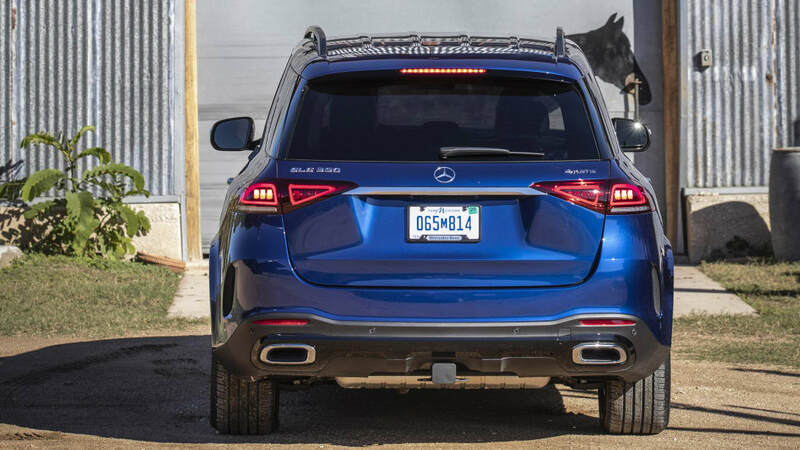 Over the course of its lifetime, the M-Class became the ML, and just a few years ago, adopted the GLE name to put it in line with Mercedes-Benz's brand-wide naming conventions. 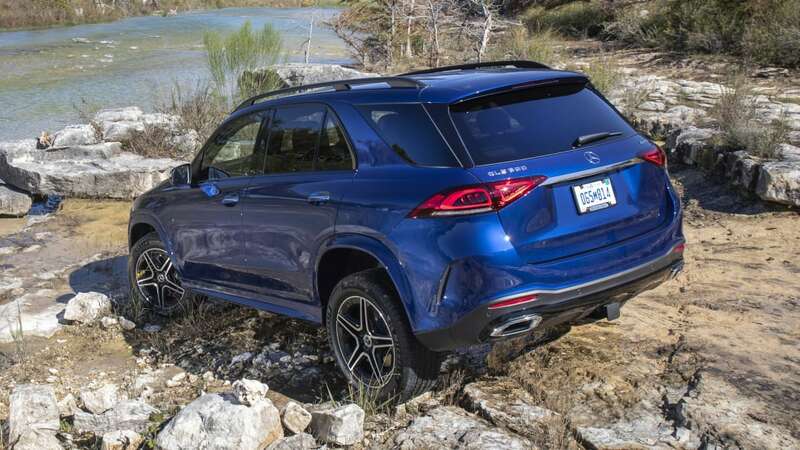 Considering the history of the M-Class/GLE-Class, the redesign of the crossover is significant, even more so given the fact that the GLE hadn't been significantly changed since the 2011 model year. The end result is sumptuous, spacious and comfortable. 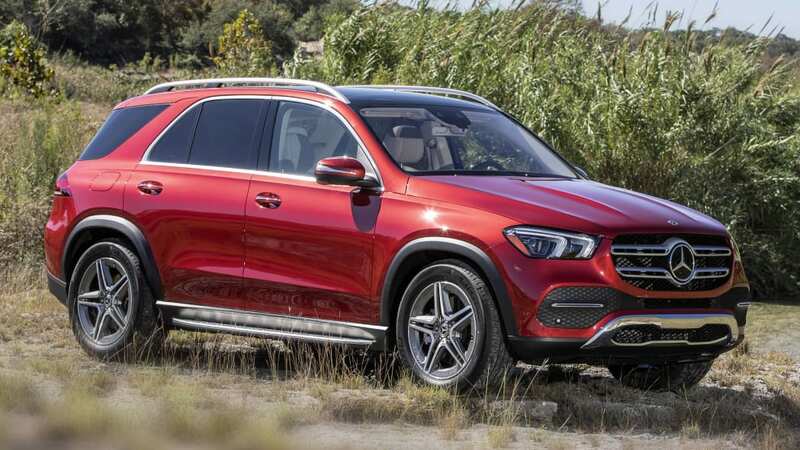 Buyers will have an extensive menu of GLE-Class variants to choose from. The two main varieties are the GLE 350 and the GLE 450. 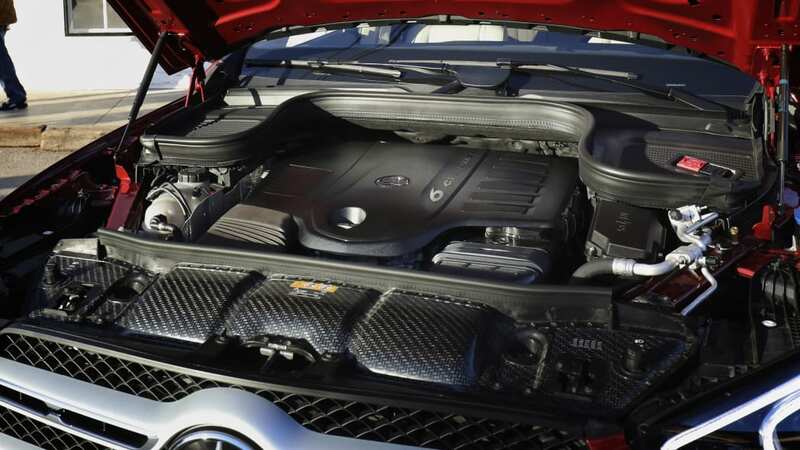 The 350 features a turbocharged 2.0-liter inline-4 making 255 horsepower and 273 pound-feet of torque, which we found to be perfectly adequate after taking it for a spin. 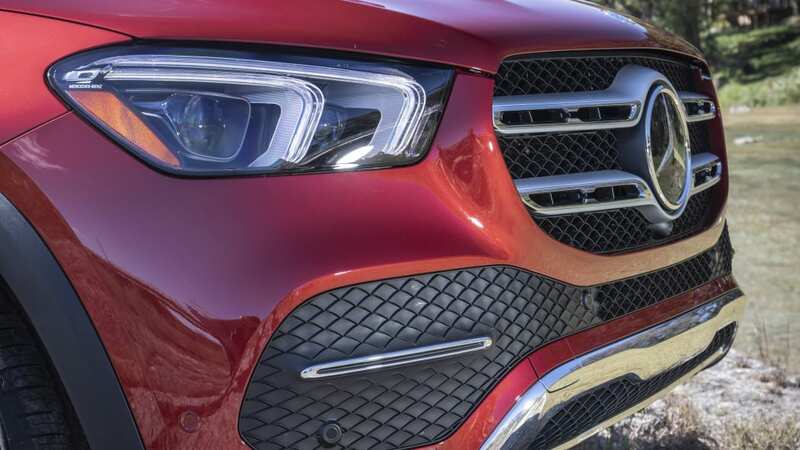 The GLE 350 has good torque off the line, and accelerates comfortably in town and up on-ramps. Power starts falling off a little more quickly than we'd like, and the engine sounds nasally and even a bit strained at high rpm. 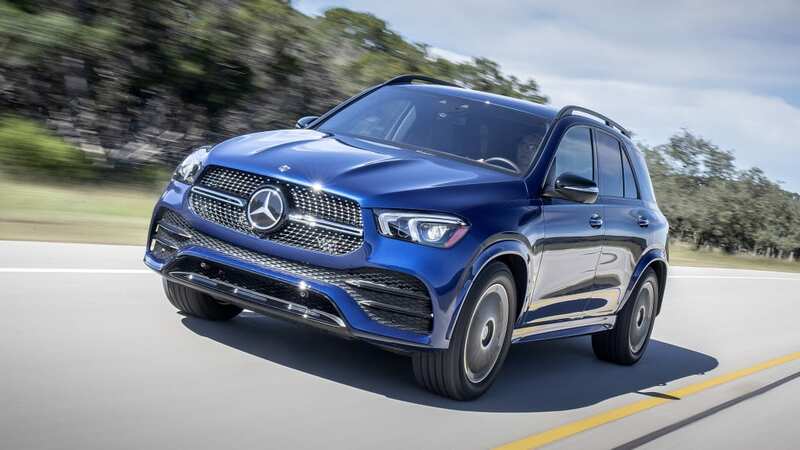 The GLE 450 features Benz's new turbocharged 3.0-liter inline-six, which makes 362 horsepower and 369 pound-feet of torque. 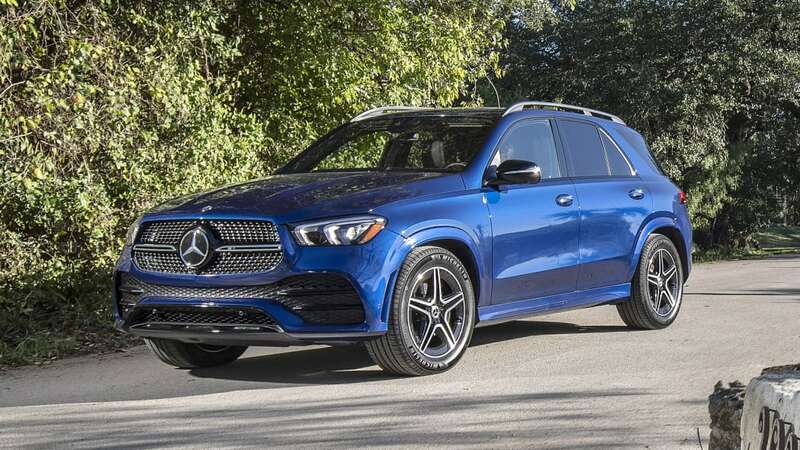 As you'd expect, the GLE 450's six-cylinder feels stronger at the low end than the 350's four, and the power carries right through the rev band. You'll want to wring it out, too, because the engine packs a raspy, snarling intake and exhaust that's more sports car than family car. Thanks to the 450's 48-volt hybrid electric assist, which features an electric motor that can generate up to 21 horsepower worth of accelerative assistance, the six-cylinder engine shuts off while coasting in Eco Mode for several seconds at a time, and it does so frequently when you're cruising down hills or other situations in which you don't have to apply throttle pressure. Most important, the only way you'll notice that the engine has switched off is the tachometer dropping to zero. And you'll only notice it when the tach needle pops back up. It's seamless. 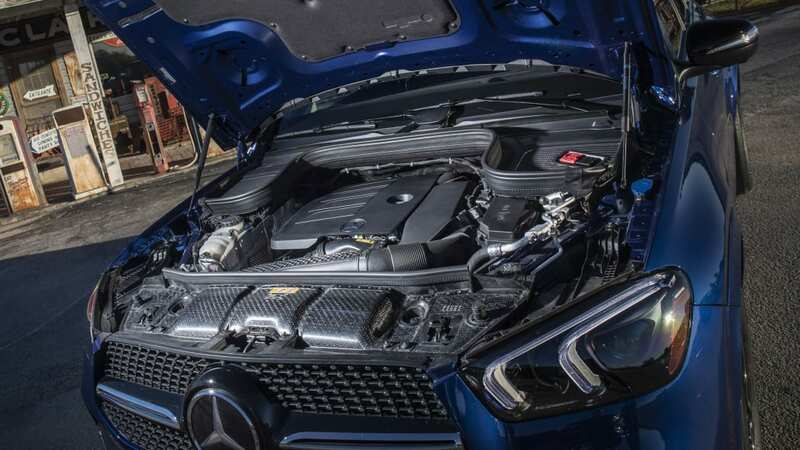 Regardless of engine, each car is mated to the same nine-speed automatic that uses a clutch pack in place of the torque converter, and that's a good thing. It operates with velvety smoothness in each driving mode, and it picks gears very smartly. In comfort mode, it short shifts to keep the revs down, and doesn't worry about banging through gears too quickly. But in sport mode, the gearbox happily brings shift speeds right up to sports car levels. 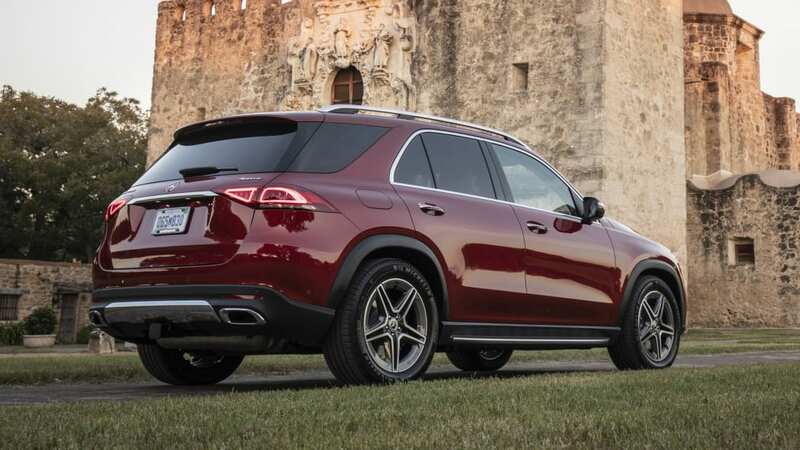 GLE 350 models come standard with rear-wheel drive, and the 4MATIC all-wheel-drive system is optional. 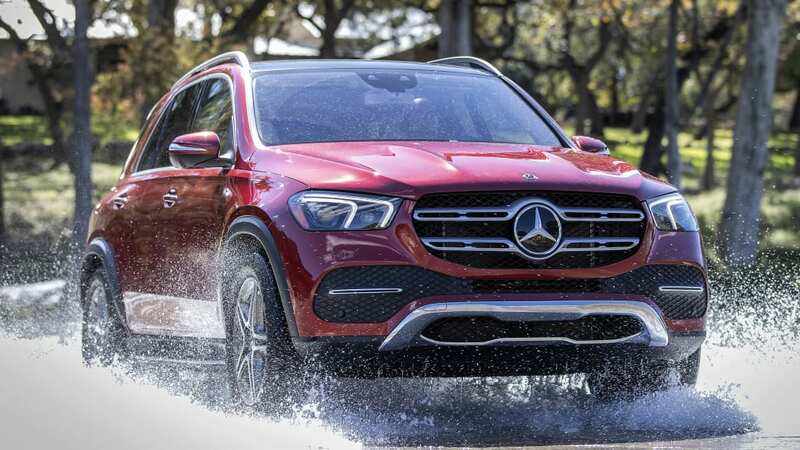 The GLE 450 only comes with all-wheel drive. 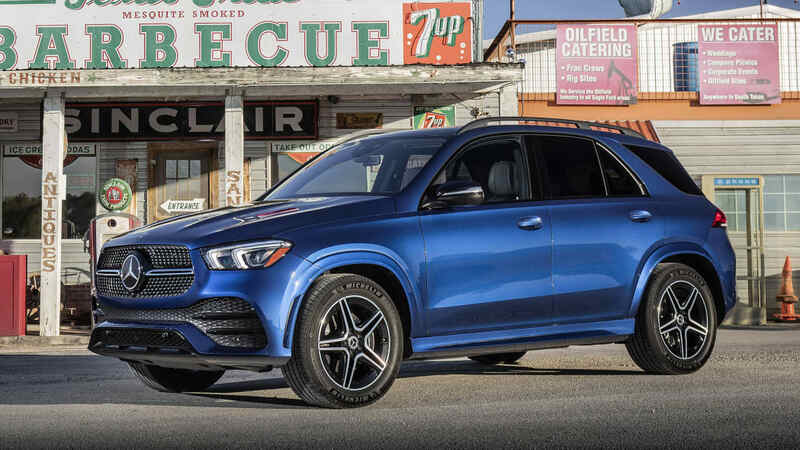 The GLE 350's standard suspension setup features conventional shocks and steel springs, and an adjustable air suspension is available as an option. 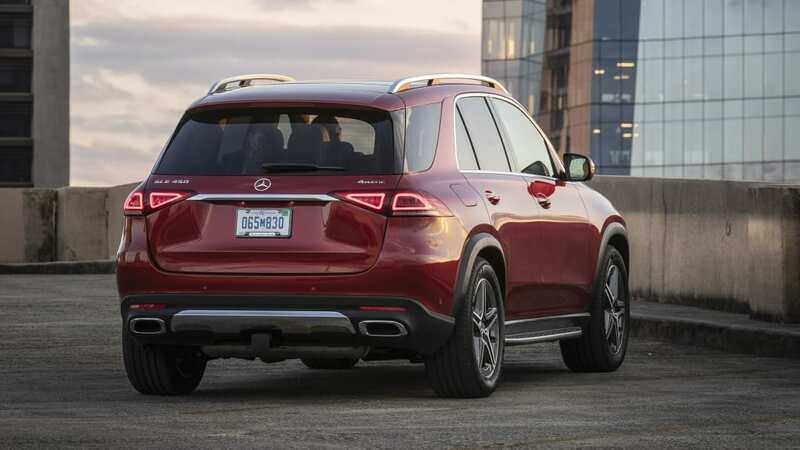 The GLE 450 gets the air suspension as standard, and the optional setup is called E-Body Control, which features hydraulics to manage body roll and adjust ride height. Determining how the hydraulics adjust are cameras that read the road. The hydraulic system also renders traditional anti-roll bars unnecessary, as they help compensate for body lean. This is also good because the hydraulic system takes up the space in which anti-roll bars would go. Both GLEs offer a variety of drive modes including Comfort, a pair of sport modes of increasing aggression, and Eco and Off-Road modes. Each of these adjusts suspension firmness, throttle response and shift scheduling. 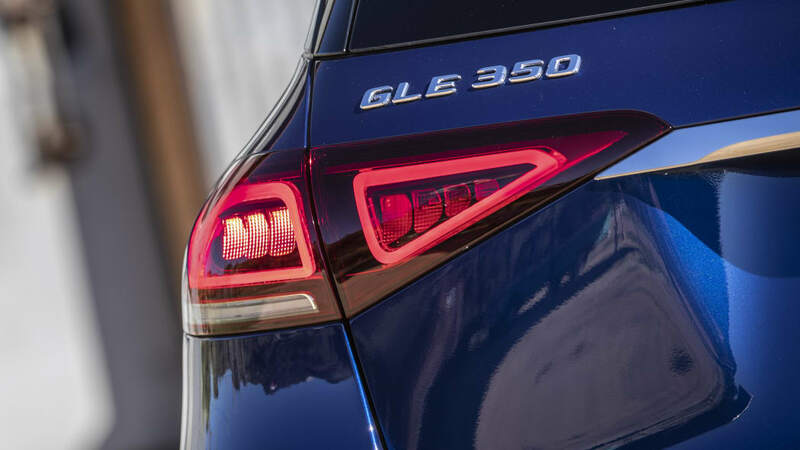 The E-Body Control-equipped GLEs feature a mode called Curve that leans the crossover's body into the turn. Off-Road mode unlocks the ability to manually adjust the ride height of each corner in tricky terrain, and it also allows the car to bounce up and down to get free of deep sand. You can see more of this mode in our prototype ride-along story. We stuck with Comfort, Sport and Curve modes on our paved drive route. 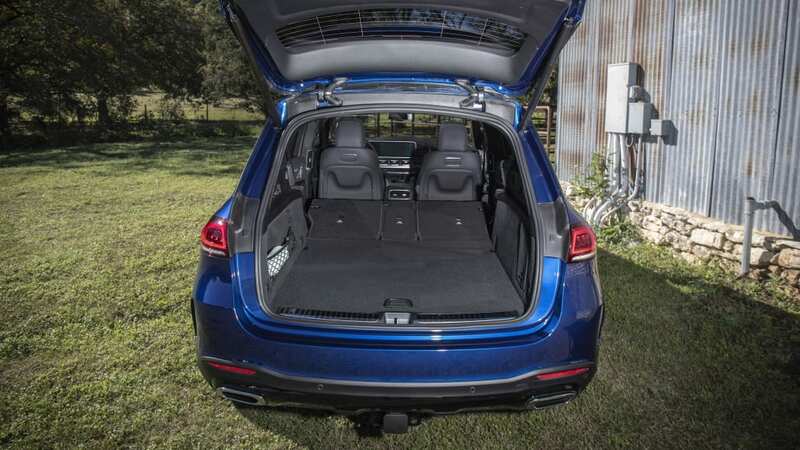 The GLE 350 with its conventional air suspension is clearly tuned for softness and comfort. In the default comfort mode, the GLE 350 is a bit floaty. Big highway bumps triggered long-lasting vertical motions that could bother those with sensitive stomachs. But the squishy tuning did completely erase smaller bumps. Switching to Sport modes firmed things up, eliminating the floatiness while still keeping things comfortable over small bumps. That's our preferred setting. The GLE 350 handles fairly well, too, despite the generally soft suspension tuning and omnipresent body roll. 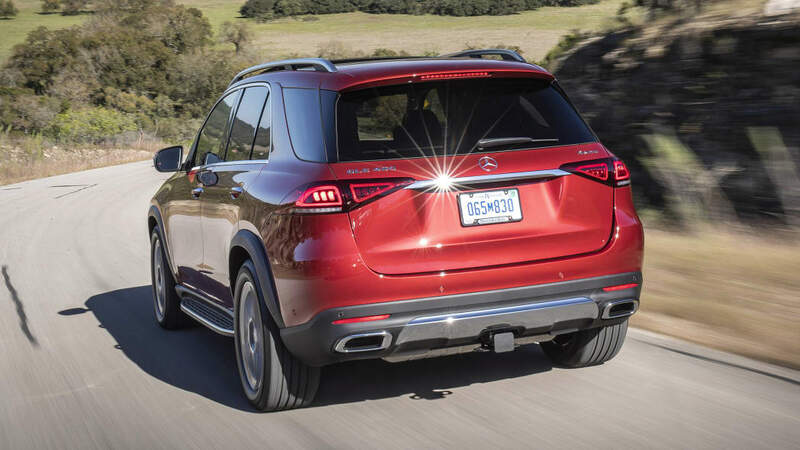 Steering is accurate and feels appropriate for a midsize crossover. 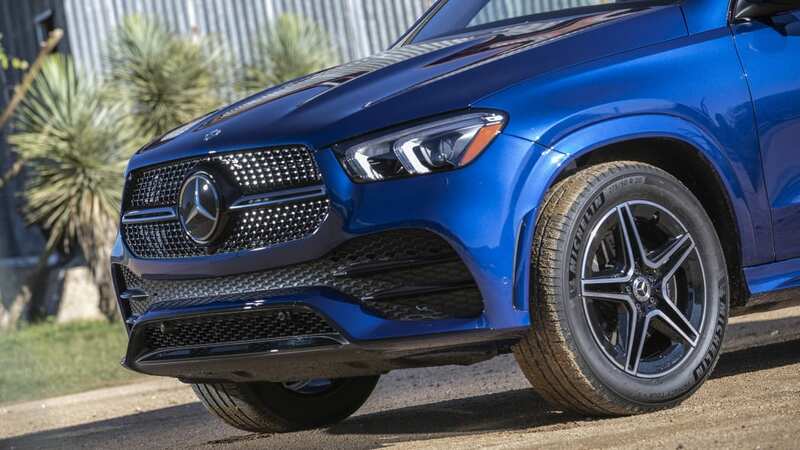 It's a welcome change from some other Mercedes cars that have overly light, disconnected steering. The chassis generally feels neutral and reacts promptly. While it's no canyon carver, it's secure and planted. 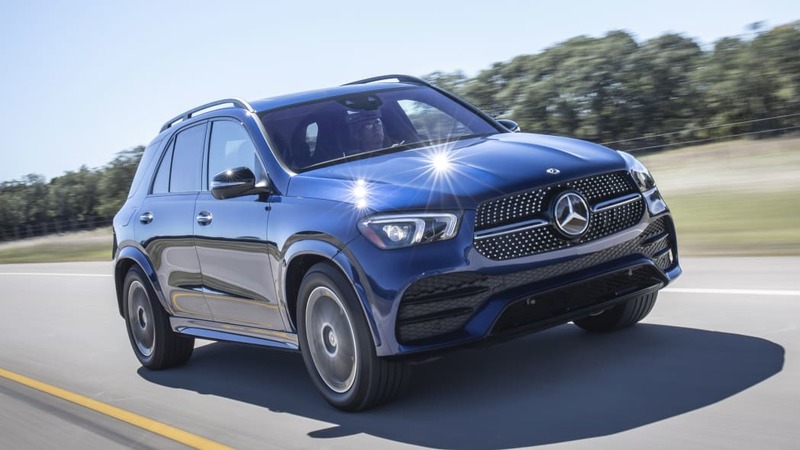 The GLE 450's E-Body Control hydraulically-assisted air suspension is a noticeable improvement over the regular air suspension, but it's not as dramatic a difference as between the engines. Our preferred driving mode in the GLE 450 is Comfort. It was a smidgen firmer than the same mode in the 350, but there were virtually no secondary motions after hitting bumps. 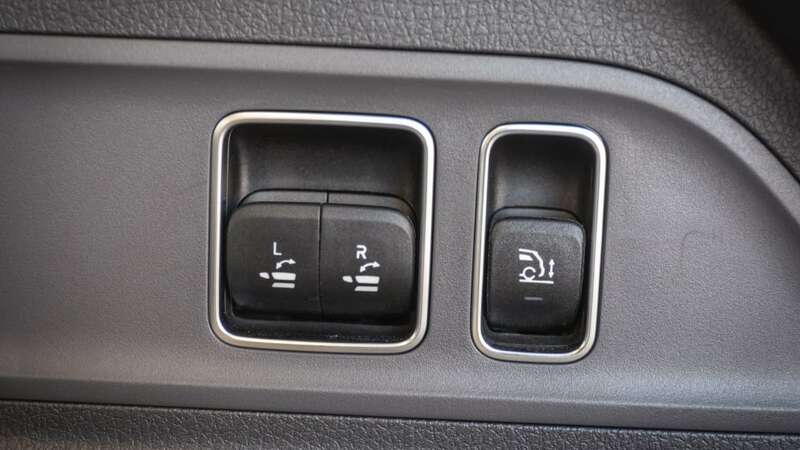 Body lean is also lessened, especially in the Sport modes. Unfortunately, those modes also make the ride firm and a tad jarring. 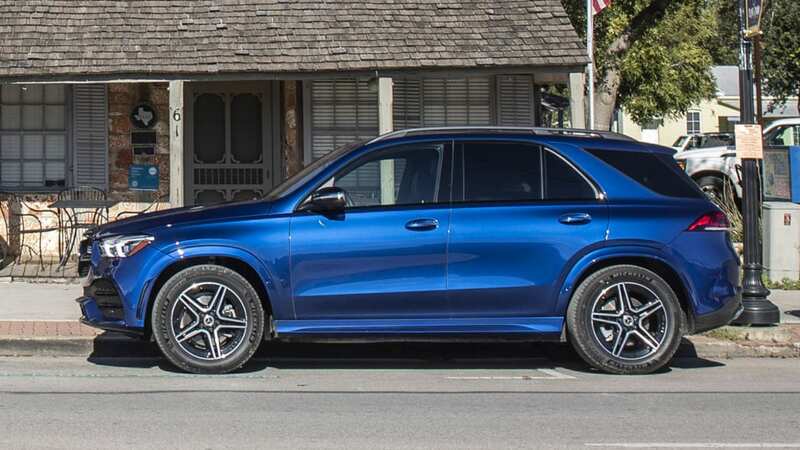 The GLE 450's best mode for comfort on twisty roads is the Curve mode, which leans the car into the direction of a corner. As a result, occupants stay upright, instead of being pushed to one side of the car. It's a subtle difference, but not having to fight physics while sitting in your seat is nice. That being said, people have been comfortably coping with being gently pushed from side-to-side for years, so you won't miss it if you don't have it. Skipping it will also undoubtedly save you money. 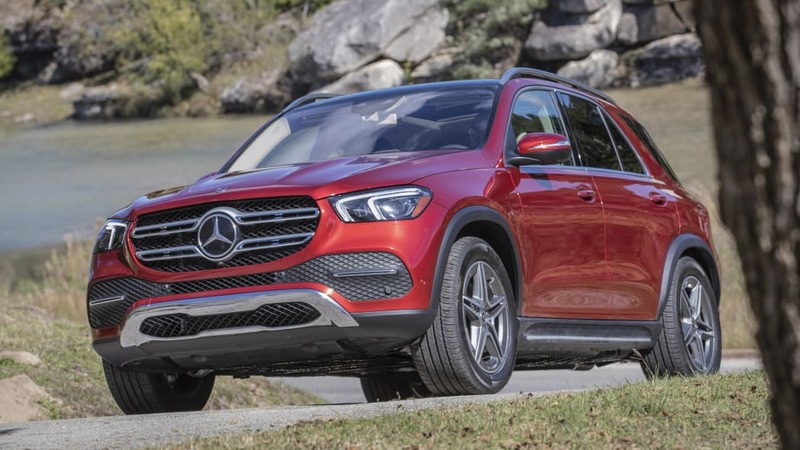 Pricing for the GLE-Class isn't out yet, but Mercedes did reveal E-Body Control is only available as an option on the GLE 450, the most expensive trim level. 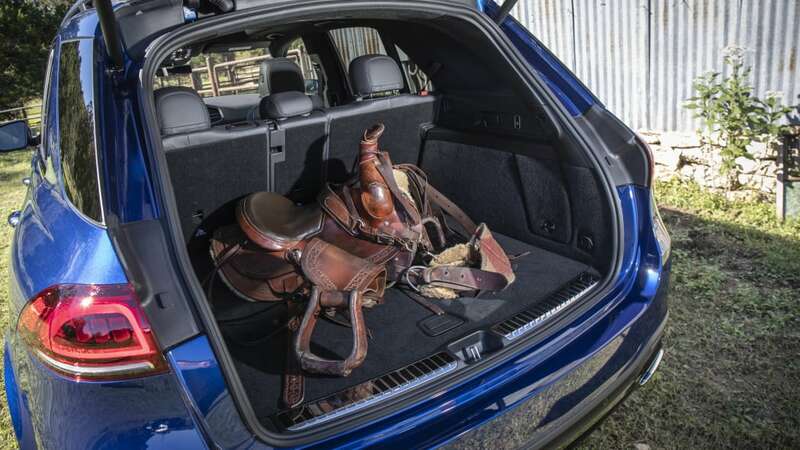 We've focused on the differences between our test GLE 350 and GLE 450, but there's an area where the two are very much one and the same: the interior. 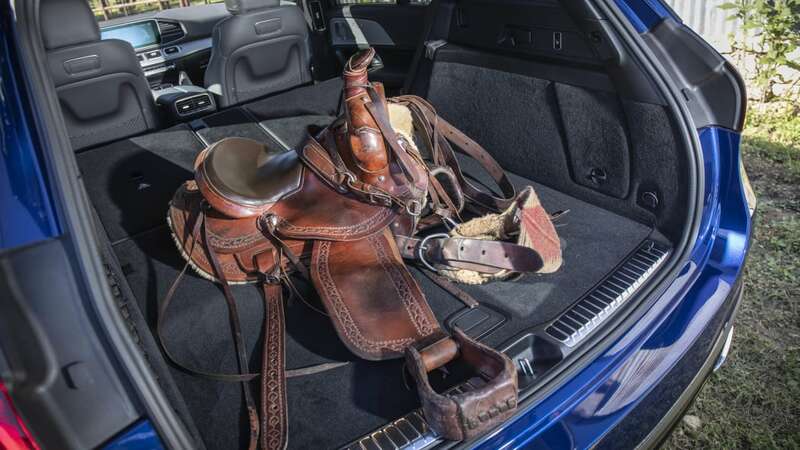 That's fantastic since the GLE's interior is the vehicle's best feature. 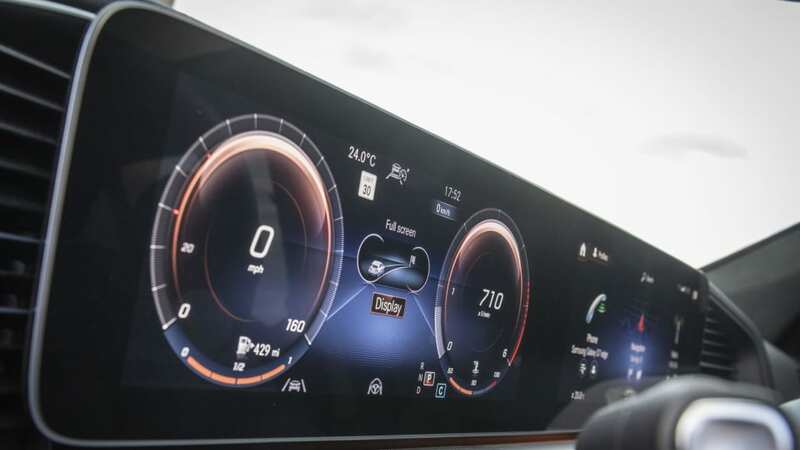 It's an evolution of current Mercedes design, which, at its core, features a pair of giant screens atop a low dashboard with many little air vents, delicate-looking switches and loads of wood, leather and ambient lighting. But in the GLE everything is more butch and SUV-like. 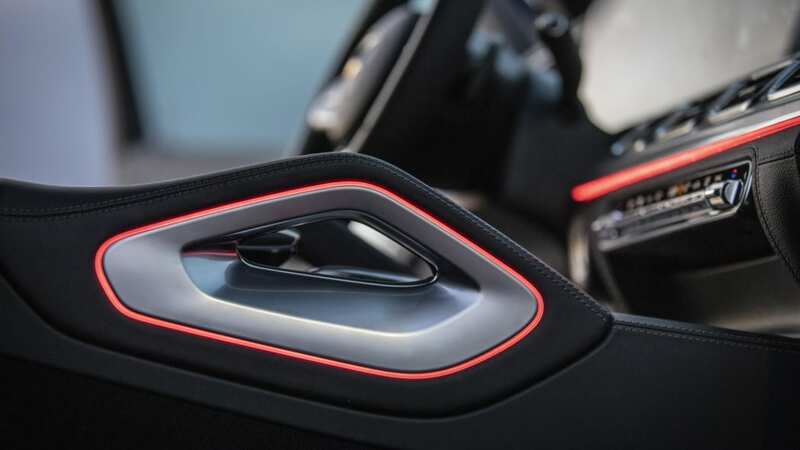 The air vents are all rectangles, the screens have a horizontally grated backdrop, and there are chunky grab handles (similar to the Porsche Cayenne) in the center console. The craftsmanship is typical Mercedes with superb fitment and wonderful materials. You'll have a wide array of trims to choose from, too, including aluminum, wood with pinstripes, and our favorite, satin-finish open-pore wood trim. Leather goes everywhere else with neat stitching. Not only is the GLE-Class interior beautiful, it's vast, particularly in the second row. 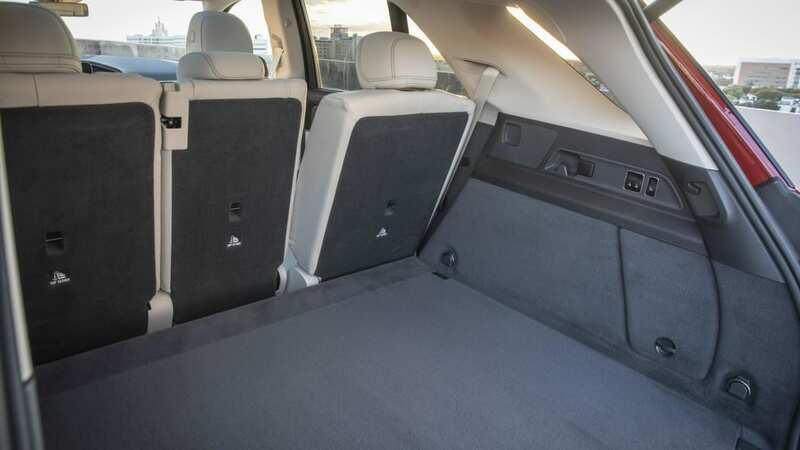 Even with front occupants in comfortable seating positions, rear seat legroom rivals that of standard wheelbase full-size sedans like the BMW 7 Series or Mercedes' own S-Class. 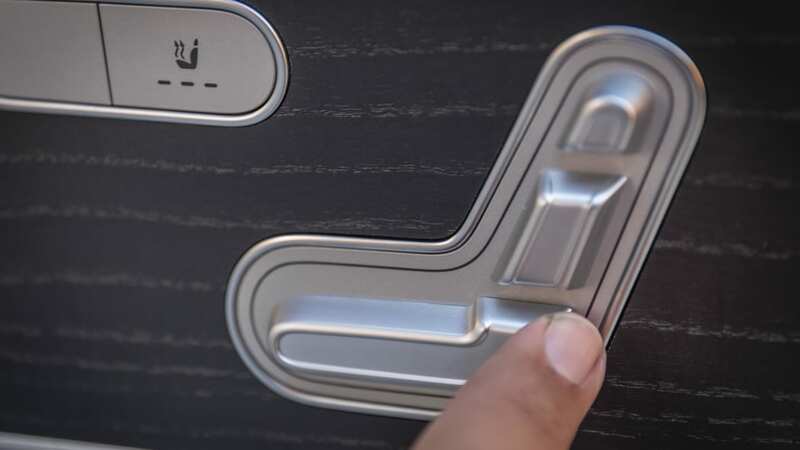 The second-row seats are available with power reclining and sliding for even more comfort. 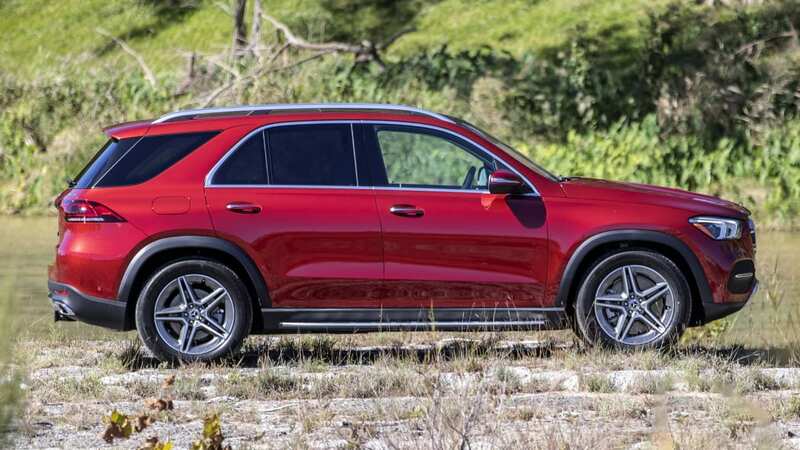 For the first time in the model's history, the GLE-Class also has an optional third-row seat, though it's certainly a lot tighter than the second row. 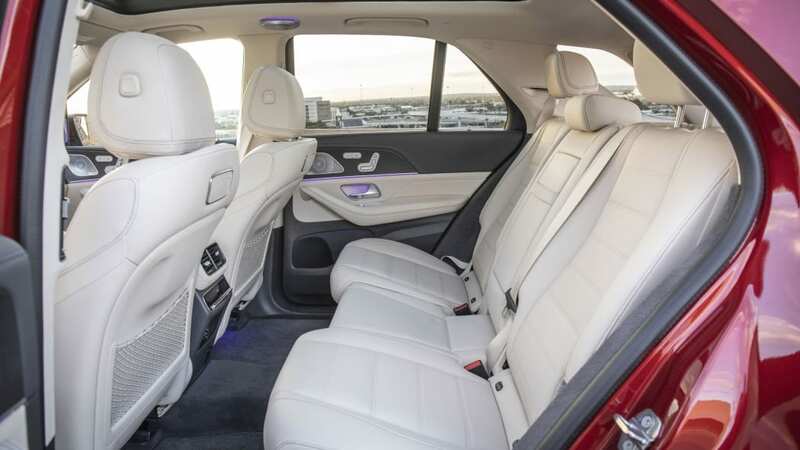 The GLE-Class packs some impressive technology inside. Its standard dual 12.3-inch screens for instruments and infotainment are bright and sharp. They operate with a smoothness matched only by Audi's Virtual Cockpit. There are of course many safety features on offer, too. The list would go on and on, but most interesting are the driver-assist systems. All together, they provide the smoothest, most capable lane centering and adaptive speed control this side of Cadillac Super Cruise. It even has lane-change assist that will automatically turn the car into the next lane when it's clear. Of course, this is not a hands-off system like the Cadillac's, and your hands must always stay on the wheel. 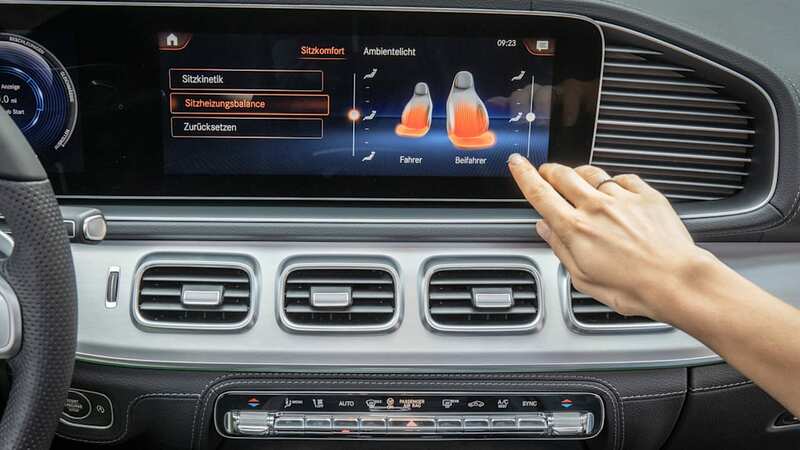 There are myriad ways to interact with the infotainment in the GLE-Class, including touching the screen, using the touchpad in the center console, using the tiny touch pads on the steering wheel or using your voice. The screen and touch sensors are all quite responsive, and the system runs smoothly and quickly. The natural speech recognition control system, which is being rolled out with each redesigned Mercedes, is easy to use and responsive. Simply say "Hey, Mercedes" or even just "Mercedes" and ask it to do something like give the weather forecast or change the temperature. It never asked us to say something again or clarify, and we never had to look up specific phrases to get it to do anything. It's a little oversensitive, though. A few times when using the word "Mercedes" in casual conversation, the car interrupted to ask if it could help in some way. That was the only technical hiccup we found with the infotainment, but then there's the issue of just how complex the whole system is. There are menus upon menus, and they are tucked away in all directions. Scroll left, right, up or down, you'll find more menus. It's not always blatantly obvious where these menus are hiding. This can be really distracting if you're looking for a less common adjustment like the sound equalizer. 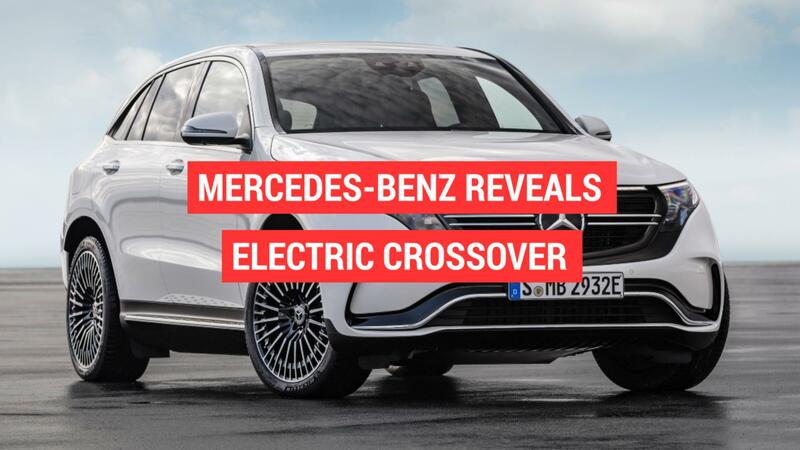 Pricing and fuel economy have yet to be released, so as to how it compares with the competition such as the BMW X5 and Lexus RX, we can't say. But Mercedes provides a seriously compelling option in every other aspect. It provides a driving experience that truly feels luxurious. The GLE glides along, keeping its occupants stable and serene, cosseted in the most opulent and comfortable interior in the segment. 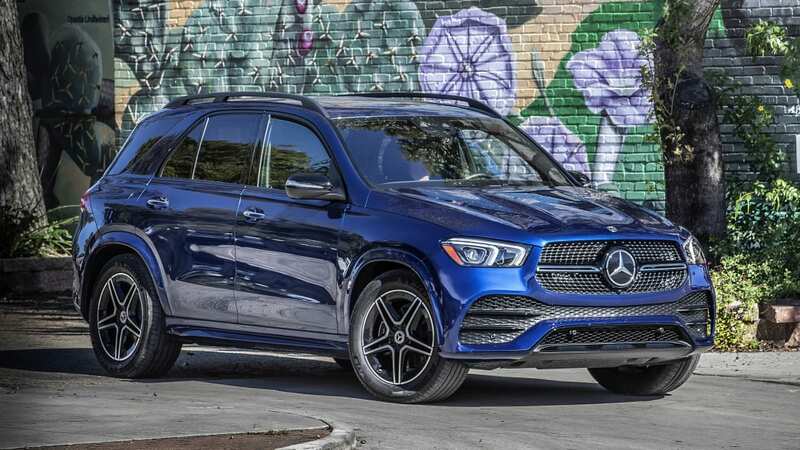 So if lavish trimmings and a calm driving experience are your thing, the GLE-Class is king.